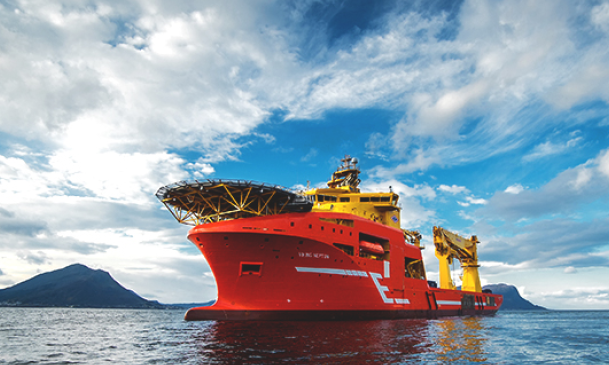 Norway’s Eidesvik Offshore has sold 2009-built offshore construction vessel Viking Poseidon to an unnamed buyer. Eidesvik says a deposit has already been paid and delivery is expected to take place mid-March. The sale will have a positive effect of around NOK180m ($21.5) according to Eidesvik, after it recorded a NOK130m ($15.5m) impairment charge on the vessel in the fourth quarter of 2016. Viking Poseidon recently came off a contract with Siemens Wind Power supporting operations in the German sector. The vessel was previously on charter to Harkand, who cancelled the contract in May 2016 after into went into administration.